Finally, here are some pictures from my beautiful trip to Sedona, Arizona. What a beautiful couple! CONGRATS ADAM AND AMANDA! I have always thought that Amanda had good taste, but this dress was beyond my expectations! She had it custom made to her liking...delicate ivory lace...low v-neck and back...gathered hem and train...STUNNING! The favors were small boxes wrapped with silk dupioni and topped with tiny twigs and ribbon, the box was filled with delicious pistachios. Mouth watering cheesecake with chocalate fudge and raspberries...by far the best wedding cake I have feasted on. Delicate roses and lush greenery finished off the look. Adam, Amanda, me and Jeff (my hubby). Thanks for sharing your special day with us! hi there! I was browsing through etsy and came across your shop. although I can't quite make practice match principle just yet, I totally agree with your philosophy. 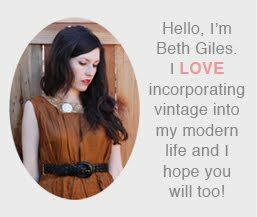 I just started my own blog too featuring vintage housewares and occasionally clothes. I've called it past presents shop, and you can check it out here. love your photography skills too btw! !